Loraine has worked with AFLCT since 1998.  In her capacity, Loraine programs AFLCT’s more than 100 participating artists and performing groups into communities throughout the state. Additionally, Loraine is responsible for the planning and management of two major AFLCT Artist Showcases, annually. Loraine plays an integral role in bringing a diverse spectrum of artistic disciplines into schools, community & senior centers, and other venues statewide, encompassing both the performing and applied arts—ranging from Music, Dance, Storytelling, Visual Arts and Theatre, to Science, Photography & Videography and more. Since 2009, Loraine has served as a member of the Hamden Arts Commission, helping the Town of Hamden plan cultural events for children, senior citizens and Hamden’s Summer Series on the Town Green. In addition to her work with AFLCT, Loraine is an accomplished stained glass artisan. She founded Sparking Creations in 1999 and continues to create a wide range of works, from commissioned pieces to her signature stained glass stepping stones. Loraine enjoys time with her family and their many animals, as well as tending her gardens.